Two weeks to go until my Christmas holidays begin – and counting! Before that though, there’s lots to do on the writing front. 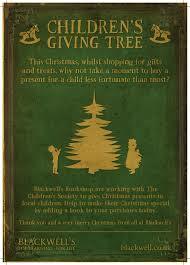 On Saturday 6th, I’ll be at Blackwell’s bookshop in Edinburgh, along with lots of other authors, taking part in a readathon to launch their Christmas charity, the Children’s Giving Tree. It’s a great cause, and you don’t even have to go to the shop: follow the link here to get involved on line. I’m going to be reading from one of my favourite children’s books, The Dark is Rising, but I may actually have to buy a new copy. My old one is so battered now through repeated use, that it’s basically worn out. On Friday 12th I’m off to Clyde Valley High School in Wishaw, to visit the book group there and have a chat about Dark Spell, which they’ve been reading. I’m looking forward to some searching questions! And the new novel is inching forwards steadily, though I wish it would go a bit faster. But you know what it’s like at this time of year; I suppose I should be grateful I’ve got any time to spend on it at all!